We have time for a few more of these pies for the holiday. Wednesday pick up only. Email TheVenerablebean@gmail.Com to place an order. Not granny's pumpkin pie. 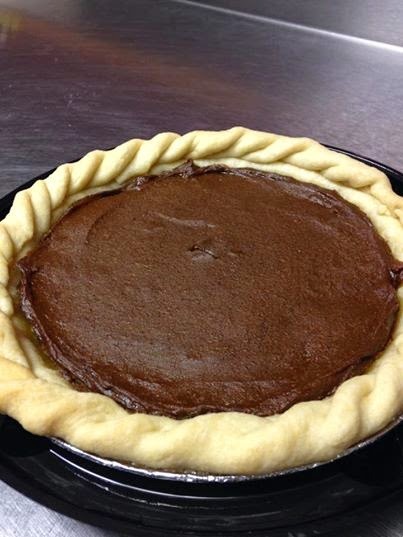 8" organic pumpkin pie that is rich in flavor and heavily spiced $19.50 or Gluten Free crust $23.50. We are also offering 8" Chocolate Truffle Pies $29.50. Lastly is the Pumpkin Cheesecake with Pecan Crust, Ganache and ginger cookie topping(GF) $34.50. Decadent and always vegan using organic ingredients!